A good wedding emcee can move the crowd and keep them engaged to the flow of the event. 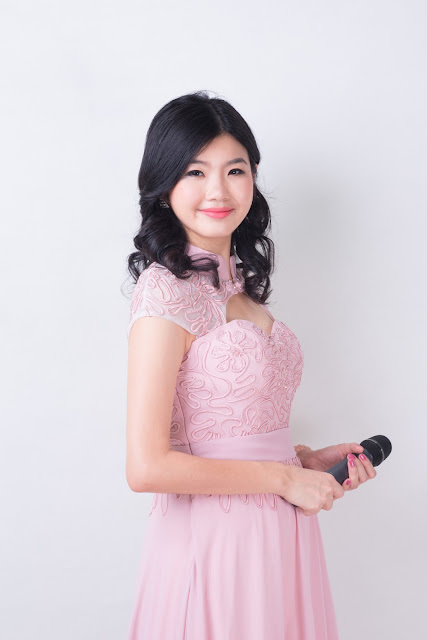 Shiang Peng (Champagne) is blessed with a graceful voice, a witty yet pleasant personality. I believe her eloquent articulation is a result of her hard work in developing her hosting skill combined with inborn abilities. She is natural in connecting with the audience. To captivate the crowd's attention, she attunes to them. She interacts and assesses what interest them, then adapts the style to cater to different groups. It is important to strike a balance between jokes, games, and oration. 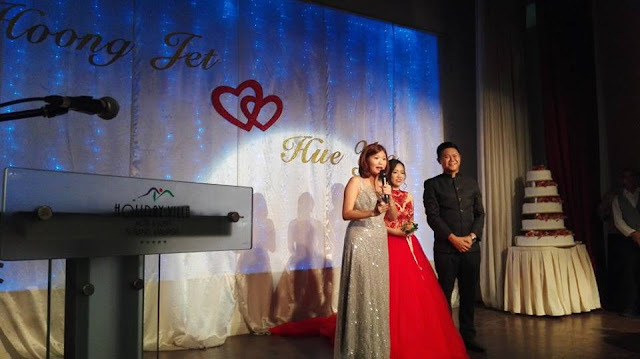 Shiang Peng is a professional, experienced and renowned emcee in the wedding industry, having abundant experiences in hosting many different type of wedding celebrations in Malaysia, Singapore, China, Indonesia, Australia and etc. She is able to keep her audience entertained thanks to her various talents; she can sing, has hosted a wide variety of events, interviewed local and international celebs, is charismatic and flexible. She is also a voice-over talent. Shiang Peng speaks fluent English and Chinese. She received many referrals from past clients due to her commitment in delivering high quality service. For a wedding function to be successful, the emcee plays an important role. Friendly, helpful, versatile with a good sense of humour, Champagne Shiang Peng will make your events sparkle in splendor. Thanks so much to Champagne for doing such a great job on our wedding night! It's been a wonderful night!